How do I find my senator or representative's contact information? Please visit www.1Sky.org/lookup and use the tool at the bottom of the page to search for your senators'/representatives' email and local phone numbers. How can I find other events in my area? To find events in your area, go to the Get Local "Find an Event" page. When you enter your zip code you will be given a list of events nearby..
How do I find others in my area to organize events with? By registering events on our Get Local event tool we will be able to send a message to local 1Sky supporters about your event. After submitting the event, please email local@1sky.org and let us know you would like help with this. Does 1Sky provide materials, such as signs, for offline events? 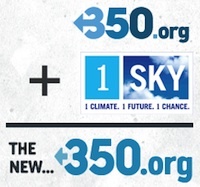 1Sky provides visuals, guides, talking points, and other resources for every offline action at www.1Sky.org/resources. How do I send 1Sky my photos after an event? Send all photos to photos@1sky.org. What are some easy actions that can be combined with house parties? Our Act Now page, www.1Sky.org/act-now, is kept up-to-date with actions that can be done from the comfort of your home, as well as bigger actions. Many of these actions are designed to be done frequently. You can take action for climate every day! Questions specifically about the latest action you heard about through 1Sky? The top section of the resources page is kept updated with information specifically designed for the latest 1Sky-organized action. If you received a call or email to do a house party, public event, or other major offline action, chances are the information is there. What online tools can I use to organize or publicize my event? Other than posting your event to the Get Local event page, there is more information on using social media to promote in our social media toolkit at http://www.1Sky.org/toolkit. We will add to this list as it seems useful. Do you have a question not answered here? If the answer isn't in one of our organizing guides or on the resources page, feel free to contact us as local@1sky.org. Your questions will help us grow this page for all to use.